Just a picture and the world explodes with likes, follows, regrams, and tweets. Only a glimpse and what they wore becomes news. 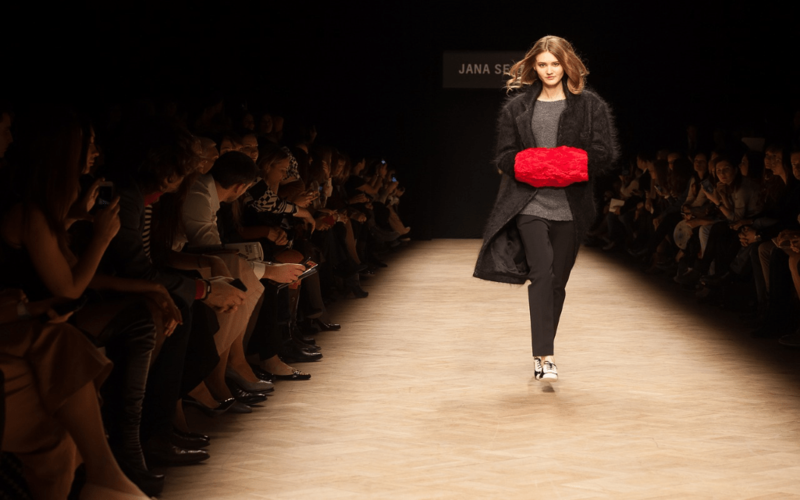 They can turn fashion fads into long-lasting fashion trends. They can carry the most challenging outfit in a versatile manner, setting inspirational outfit goals. And the magic word is celebrities. These individuals from showbiz easily sit within the orbit of one’s obsession. In fact, our love for them only swells unabated. It could be possibly due to our attraction to the glamour of the celebrity universe. In fact, a survey reveals that 7% of people consider becoming famous important to them. Psychology Today breathes further life into the claim. It states that most of us follow stars as idols to capture their style in our daily life. Ranked second by the Social Blade in the race of Instagram followers, anything that Selena says or wears is naturally a sensation. The most followed celebrity of 2016, gathered wows with the look she flaunted a few days back. Selena donned a purple and black floral dress with spaghetti straps at the New York Fashion Week, 2018. She topped the look with a black leather jacket and black lace-up boots. There’s no denying that black leather jackets are timeless pieces to add to your wardrobe. Dressed in a head-to-toe black ensemble, the music legend flaunted a modern look that froze the pre-Grammy gala in New York. 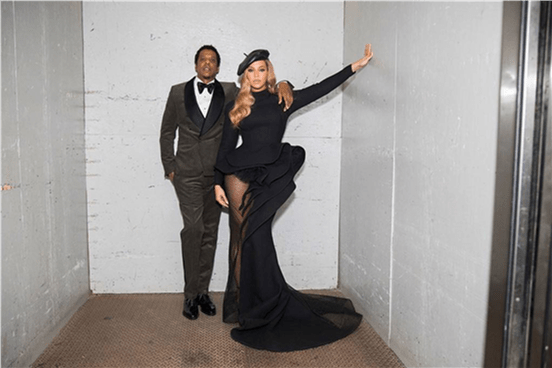 Beyoncé wore a black, full sleeved silk crepe gown by Azzi & Osta. The fishnet silhouette, high neck, and velvet paneling with sculpted hips hit the right fashionable notes, accentuating Beyoncé’s curves. The look further arrested attention with the leather beret. Not only has the Havana songstress manage to get our heads bobbing but she’s turned them around too. At the Grammy Awards 2018, Camila Cabello struck the fashionista’s bell with her sizzling look in a scarlet gown. The couture gown by Vivienne Westwood earned appreciative glances, as it clung to Cabello’s curves, giving her a chic look. Besides the seductive starlet in scarlet, Cabello kept her overall look to a minimum that made her stand out. Cabello wasn’t the only one to steal the limelight at the Grammy Awards. The singer and actress, Hailee Steinfeld had people bewitched equally in her Alexandre Vauthier white gown. Steinfeld strung together simplicity and sophistication to come up with a stunning fashion-forward look. She perfected the look with a brilliant pop of ultra-violent, Pantone’s color of the year, thigh-high boots. You know what they say about all things shiny? They are fascinating, and they capture attention. Kendal Jenner garnered stares with just the right measure of sparkles, as she flaunted $10,000 YSL shiny boots. She set a footwear statement with these flashy sequined boots that Kendall first rocked at her 22nd birthday on November 2. Next, she carried the knee-high beauties two days later at a basketball game in LA. She kept the rest of her look pretty casual, stealing hearts with just a pair of boots. Daughter of the supermodel, Cindy Crawford set a spellbinding style statement at the British Fashion Awards 2017. The IMG model’s Ralph & Russo powder blue couture dress stole the spotlight. She maintained the minimal makeup look to add a touch of elegance to her overall look. The catwalk queen flaunted flared sleeves, a tiered skirt with her frill dress closing in with an elegant halter-neck. A spray of silver and pearl embellishments sealed her steely look. Zendaya, the former Disney actress, left everyone spellbound by flaunting a butterfly gown at The Greatest Showman premier. The actress beautifully carried an orange dress with a butterfly motif at its center. The dress came from Moschino’s spring 2018 collection. And to further the insect-inspiration, the ensemble flashed a butterfly wing on one shoulder captured by an oversized ruching. Zendaya fine-tuned the look with a bold thigh-slit in her dress. Ranked eighth among the world’s highest paid TV actresses, 2017, Priyanka Chopra is not only achieving goals but also making style statements. At the 89th Academy Awards, she won hearts with a Ralph & Russo futuristic gown. The fashion A-game is never complete without risks, and it’s only the daring who take the plunge. 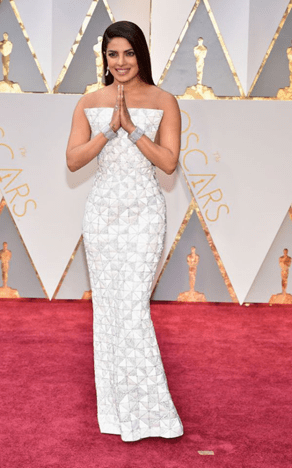 This white and silver panel ensemble sported by Hollywood’s Asian darling hadn’t walked the red carpet ever before. This naturally added more points to Priyanka’s fashion-forward look. The Fenty Beauty launch not only witnessed customer’s emptying their wallets to account for $72 million in media value, it saw Rihanna flaunting a fashionable look too. RiRi alone set the launch’s stage on fire with her yellow on yellow, flowy attire. The style icon paired a bright crop top with a long skirt with a thigh-high slit. High heels with straps entwined around Rihanna’s leg peeked through the slit to add a sensual touch to her look. Termed a “blonde bombshell,” Gigi Hadid knows how to rock a daring ensemble. At the Gigi Hadid x Maybelline New York International Launch Party, the model sported a doubled–breasted, plaid Carmen March blazer dress. The slight slip on the shoulder polished the chic look that made the 22-year-old model look beyond beautiful.